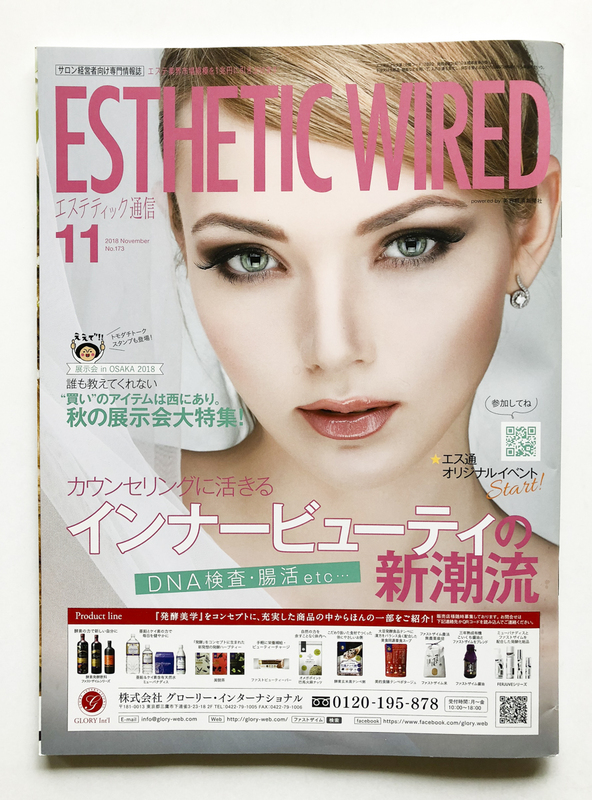 『TRES MARIA soap』『TRES MARIA milk』『TRES MARIA mirror』appeared in the feature of JETRO Japan showcase for COSMOPROF 2018 in an esthetic salon magazine called “ESTHETIC WIRED” Nov issue (page 65). 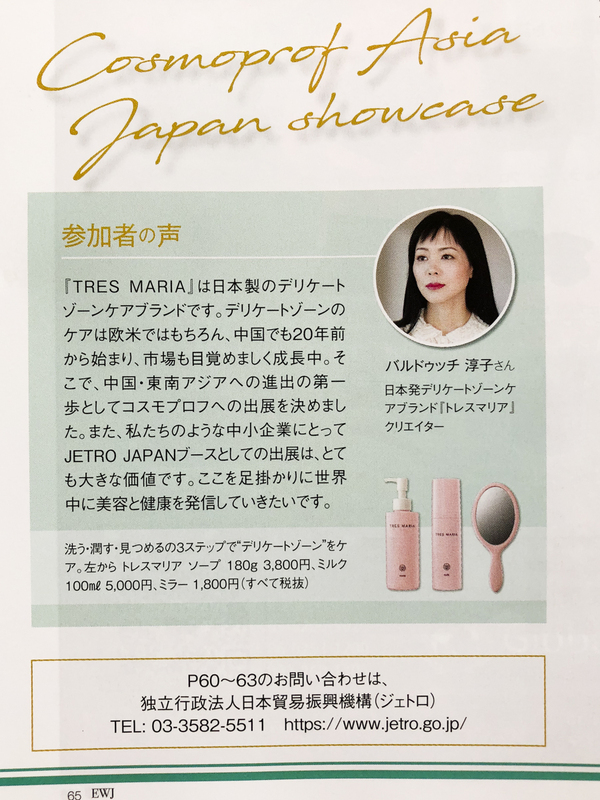 『TRES MARIA』is a Japanese feminine care brand. 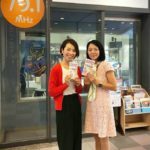 The feminine care is a growing market both in Western and Asian markets, and specially China has been dramatically growing in the last 20 years. 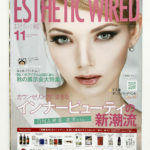 Now『TRES MARIA』would like to exhibit in COSMOPROF as a first step to expand the brand to China and South East Asia. 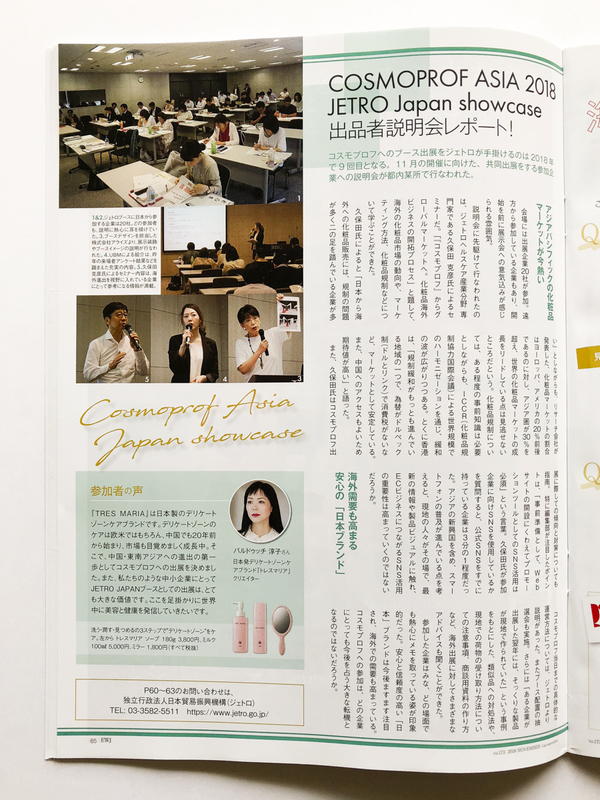 For tiny brands like ours, it is a great opportunity to take a space in JETRO JAPAN booth. 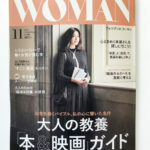 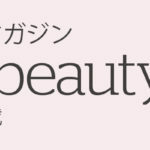 We wish to release useful information about beauty and health-care from Japan to the world.